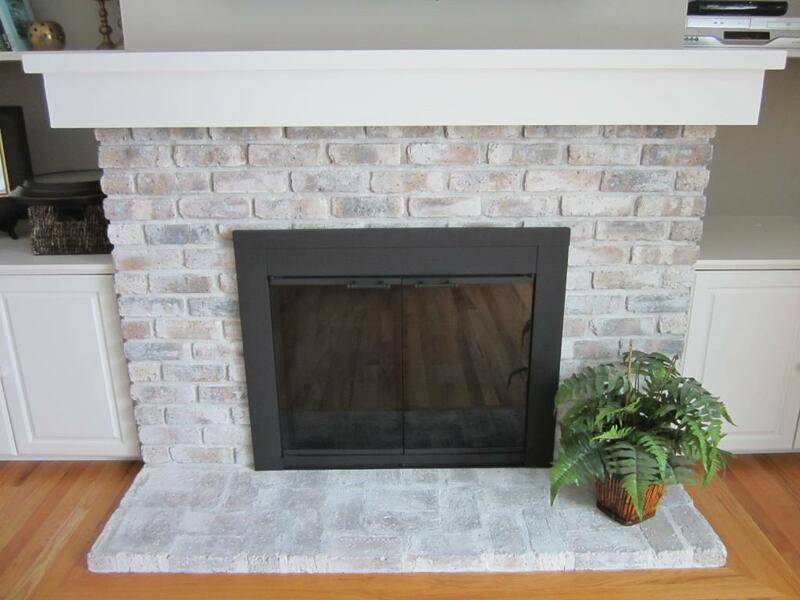 If you live in a home with an amazing brick fireplace, you probably won’t like its initial bare brick finish. Some house interiors really benefit from it, but it’s unlikely that you’ll enjoy the look of red and slightly dull brick in your living room for a long time. 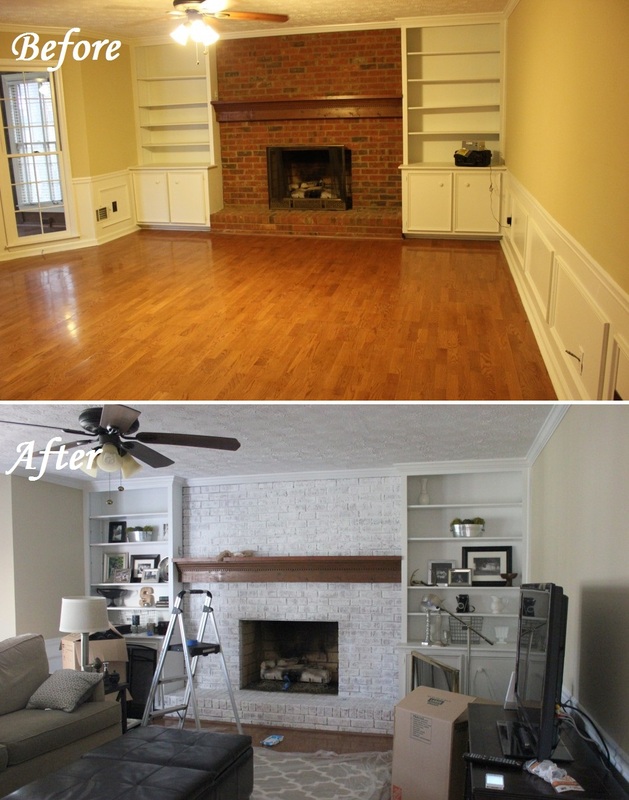 When you decide to change the appearance of your traditional fireplace, consider whitewashing it. This fireplace finish will helps remodeling contractors blend your fire feature into the room’s design, as well as make it look a little bit more modern and a lot brighter. As pastel and light colors dominate in contemporary interiors due to the fact that they really make places look quite roomy and cozy at the same time, you definitely don’t want to miss out on this trend. Your fireplace doesn’t want to do that either. However, whitewash is not only one of the latest fireplace remodeling trends. If you think about it, it’s also the way to maintain clean and fresh look of your fire feature. You probably know that brick is extremely difficult to clean. However, black stains are inevitable during brick fireplace exploitation. Whitewash finish will conceal any imperfections. And, the greatest thing is that you can touch it up whenever you like it. 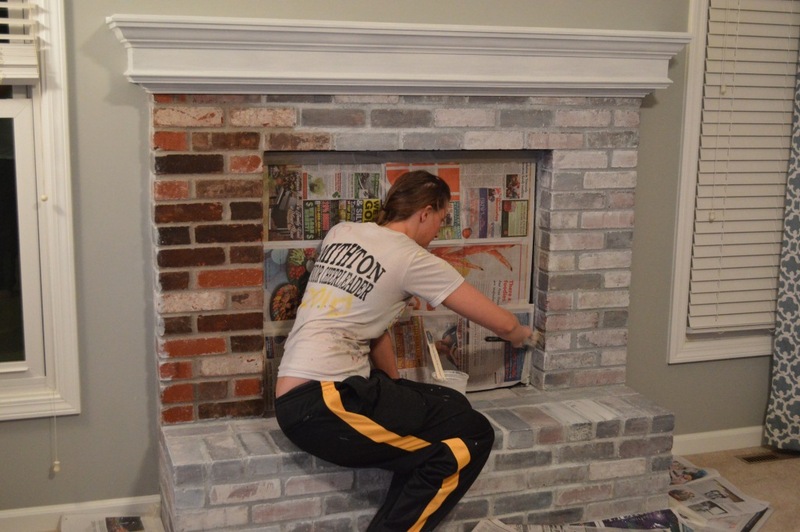 So, go to HireRush.com to post a fireplace remodeling request for our painting contractors to get reached out by those who’d like to whitewash your fire feature. 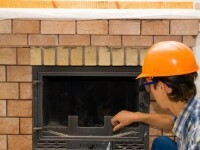 If you feel like you want to provide an input into your fireplace remodeling, you may try to whitewash your fireplace. The process is not too different to painting the walls, so you may totally get it done in a couple of hours be following this simple fireplace whitewashing guideline. 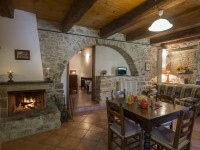 The first thing you need to do is to prepare your fireplace for whitewashing. 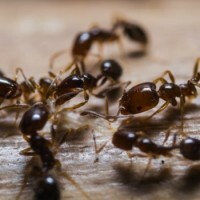 You just need to wipe its surface with a damp rag to get rid of dust. If your fireplace has any stains on its outside, make sure to remove (or at least make them less noticeable) as well. While the fireplace’s surface is drying, protect your working area. 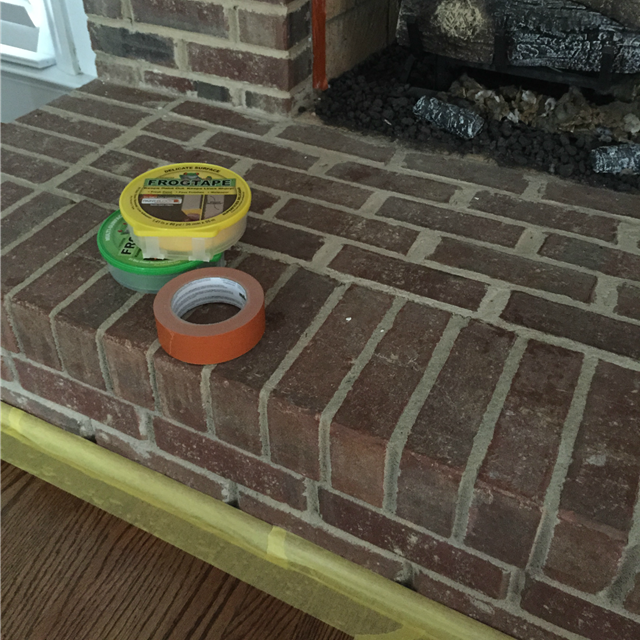 Tape the edges around your fireplace not to get white paint on your walls. Do the same to the fireplace floor surroundings, mantel piece, etc. 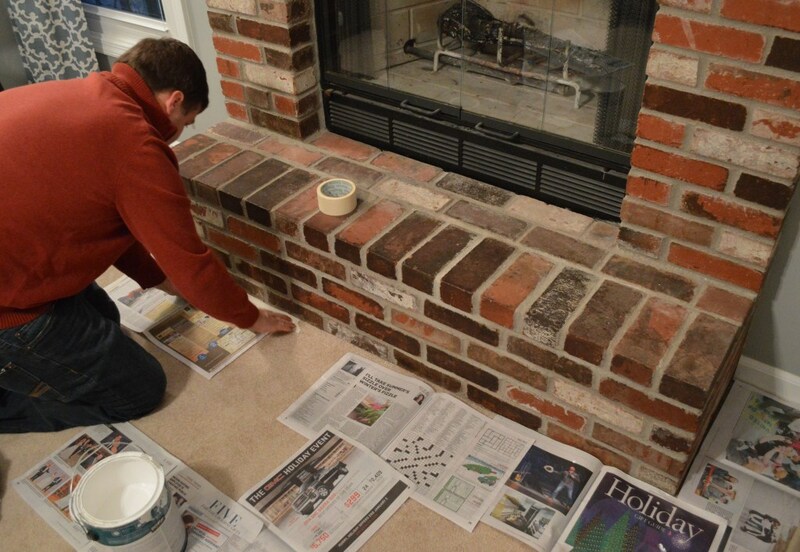 Don’t forget to cover the floor around your fireplace with old newspapers or plastic sheeting to catch those accidental paint drips and feel free while painting. Get ready to whitewash. Put on a long old comfy shirt and rubber gloves. Pour 3 parts of white paint and one part of room temperature water into your mixing bucket/cup and stir the mixture till smooth and even. You might want to leave your mixing tool in the bucket to make an occasional stir every once in a while, as paint might separate and sink down overtime. You may also stick to 1-1 paint and water proportions if you want the fireplace’s red brick show through the whitewash a lot or if you’ve nor decided what look you’re going for yet. But, bear in mind that this whitewash will be quite drippy to work with. Dab your paint brush into the whitewash and start painting your fireplace. Make sure to paint the mortar joints – gaps between bricks. Depending on the size of your fireplace and its surrounding, it might take you from 30 minutes to 2 hours to whitewash it. 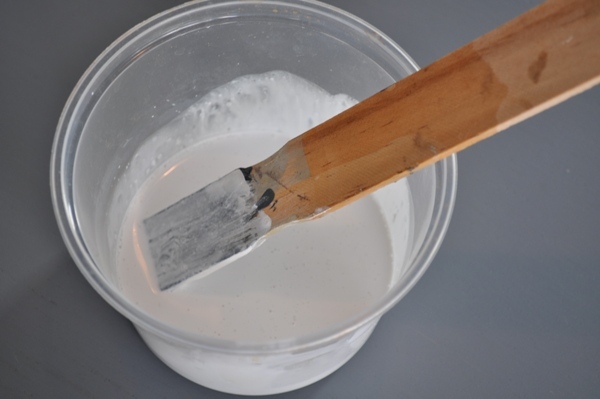 You might use a wet rag to smear your paint around the bricks to reach a more natural whitewash finish. Let the white wash coat to dry, clean up the working area and examine the finished look. If you feel like you applied too much paint, go over the bricks with a sander to make the brick color show through the whitewash a little bit more. If your whitewash was too liquidy due to the paint and water proportions you chose (1 part of water to 1 part of paint for instance) and the finish is too see-through, you may apply a second coat of it. Naturally, this method may be used to whitewash any brick surfaces. Real white wash is not thinned white paint. White wash is made with hydrated mason’s lime, table salt and water. 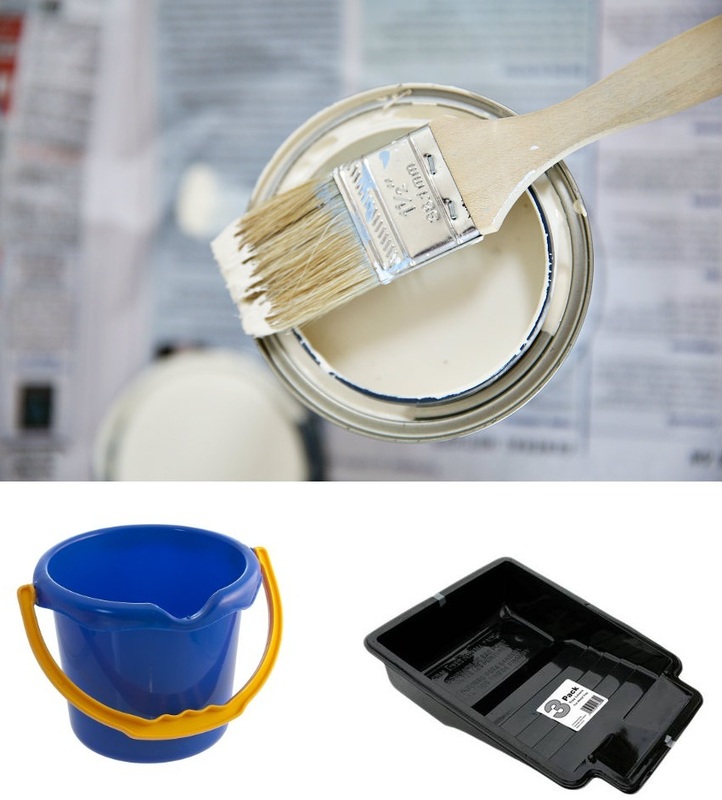 Do you use flat or eggshell for the paint? I use flat paint but you can use eggshell one as well. Your choice depends on multiple factors and not just your preferences in gloss. You have to consider sheen, age of the surface painted, cleaning method, etc. Eggplant is great, but in this case, flat paint is better since it’s easier to clean. As it’s a fireplace, it’s better to take the cleaning method as a number-one priority when choosing the paint for your fireplace. Hope, this is helpful for you. Have a good day!